According to the Indian Space Research Organisation (ISRO), the telecommunication satellite, GSAT-31, was successfully launched on February 6 from Kourou launch base. India's 40th communication satellite GSAT-31 was successfully put into orbit by an Ariane 5 rocket belonging to Arianespace on Wednesday, said Indian space agency ISRO and Arianespace. According to the Indian Space Research Organisation (ISRO), the telecommunication satellite, GSAT-31, was successfully launched on February 6 from Kourou launch base, French Guiana by Ariane-5. 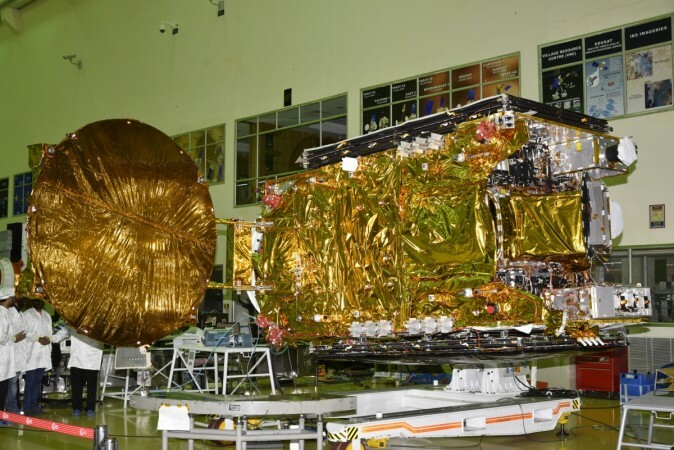 According to ISRO, GSAT-31, with a mission life of 15 years, will be used for supporting VSAT networks, television uplinks, digital satellite news gathering, DTH television services, cellular backhaul connectivity and more. Arianespace CEO Stéphane Israël confirmed the success in post-launch comments from the spaceport's control room. "For the first Ariane 5 launch of the year, our heavyweight vehicle has once more performed flawlessly," he was quoted as saying in a statement. Israël said that GSAT-31 was the 23rd ISRO satellite orbited by Arianespace and Ariane-series launchers, tracing the relationship back to India's APPLE small experimental communications spacecraft, lofted in 1981 by an Ariane 1 version.